Tallinn, Estonia, has been a hive of activity this year for the RS Aero Class. Operating out of the 1980 Olympic buildings and harbour at Pirita, ‘RS Sailors Estonia’ have formed an RS Aero fleet and every Tuesday evening throughout the season have run a series of short races for owners and guests, allowing everyone interested a chance to participate and enjoy their vibe. The interest even reached the Estonian Finn and Laser Olympic reps, Deniss Karpak and Karl-Martin Rammo, for some additional training in their run up to Rio! More recently they have established a fleet of RS Qubas too, which will help progress newcomers and young sailors through the sport. 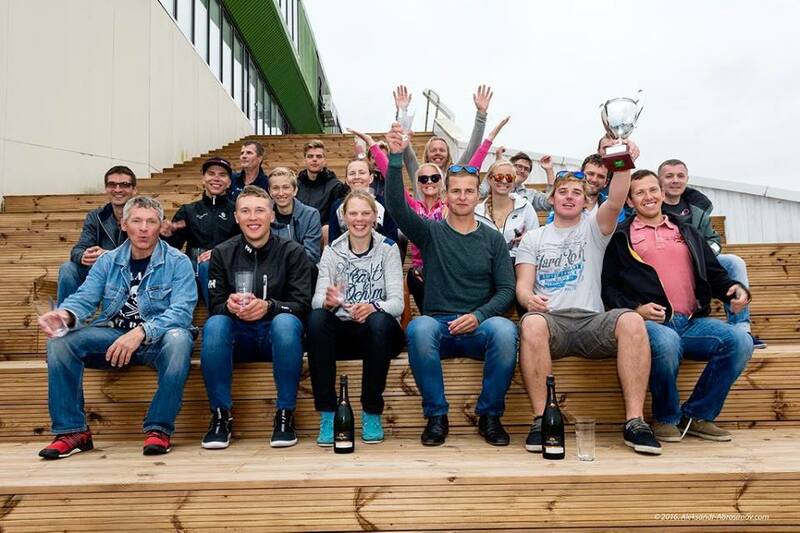 In May they fielded a small team for the Czech Open and in July they built on that to bring 8 sailors to the first European Championship in Germany where they won the RS Aero 7 and RS Aero 5 silver medals and the 1st Lady award for Estonia. In August they hosted an event for the Russian ‘Who is Who’ series, the first such event held outside Russia and in RS Aeros. 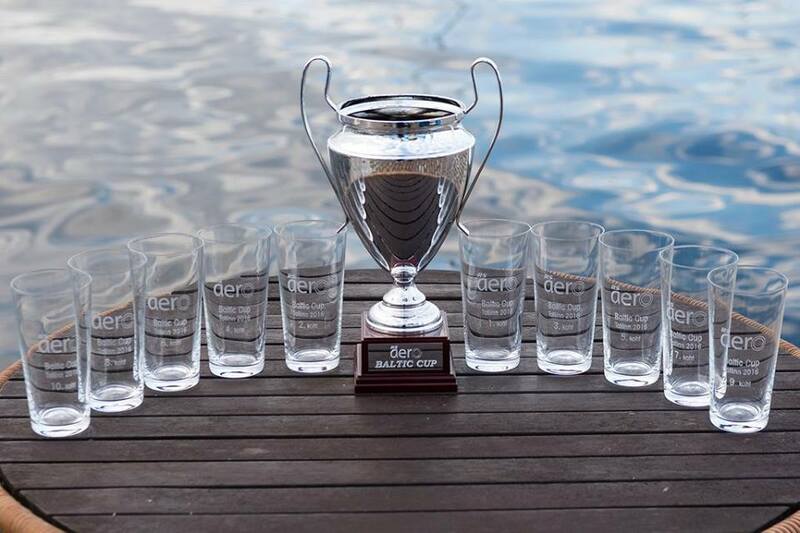 Later this month a sizeable Estonian team will hit the road again, this time southwards to the ‘RS Aerocup:Malcesine’ at the sailing mecca of Lake Garda, Italy, were 40 boats from 10 nations are set to battle it out at the last big International event of the season. 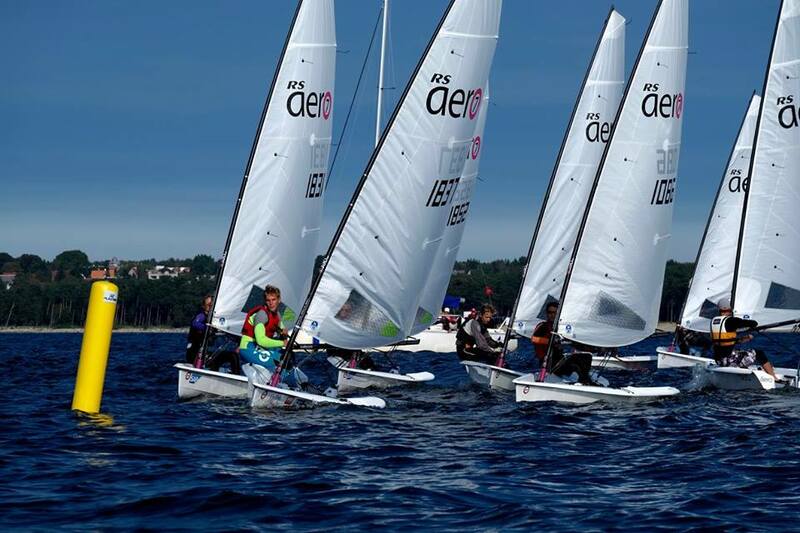 Last weekend however was another home event, the first ever RS Aero Baltic Championship, building on the eastern Baltic sailor’s achievements to date. Generously stretching the entry to ‘all comers’ by sharing the available boats to race in flights they achieved an 18 sailor turnout and held a total of 14 races over the weekend! 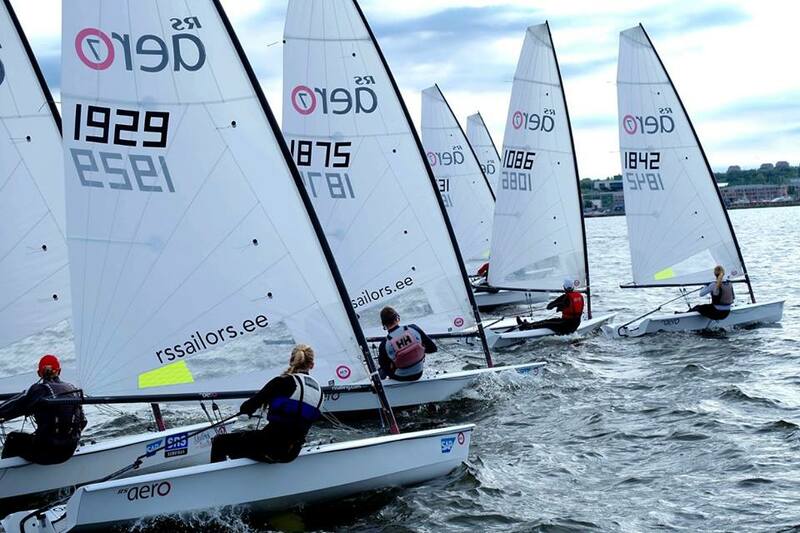 Again they introduced more new sailors to their passion of small boat racing in RS Aeros. 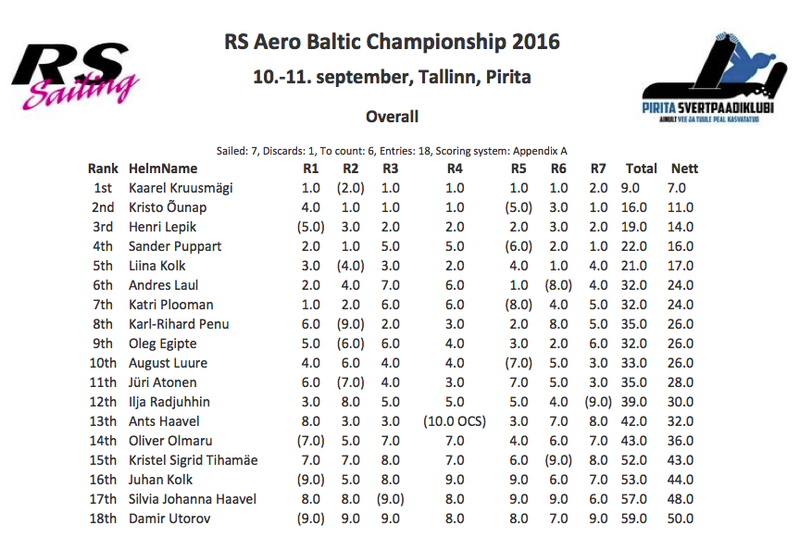 The first RS Aero Baltic Championships in history! We had 18 sailors competing for the trophy. The overall level of sailors was relatively high and the mean age of competitors 29 years old. All these guys have many years of dinghy experience and were attracted with our low barrier of entry with the fee including the charter rate. Our PRO managed to give starts and races for two 9 sailor groups in rotation so everyone got 7 races in two days – with 14 races in total. Boats were exchanged after every race through one rib, which was attached to the starting vessel. Exchanges went very quickly so starts went without big gaps. Races were about 35 minutes each and racing was tight, but in the end faster guys won! We were lucky that the wind was between 4-15 knots and more on the lighter side than stronger, so we used 7 rigs on each RS Aero with girls also managing to sail fast in all races. Our winner, Kaarel Kruusmagi, is semi-professional sailor who was number two in Lasers in Estonia for the Rio Olympics. He has been also World Champion in Zoom8 and many times Estonian champion on several classes including match race. Second was the RS Aero European silver medalist from this summer, Estonia’s Kristo Ounap, who asks revenge soon! Third was Henri Lepik, he has Laser background but currently is more active in University. The first lady was Liina Kolk, who is also RS Aero European Ladies Champion. Organisation was very smooth and the sailors liked the regatta and format. Many thanks to PRO, judges and support from; Mats ja Madis Hunt, Pirita Top ja Urmas Lind, Kalevi Yacht Club, Rene Allik, RS Cafe ja Airi Poolak, Toomas Soots.